This case is made from the finest Italian leather, black in color. 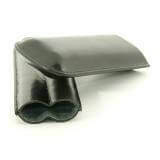 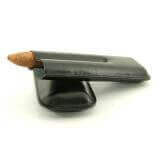 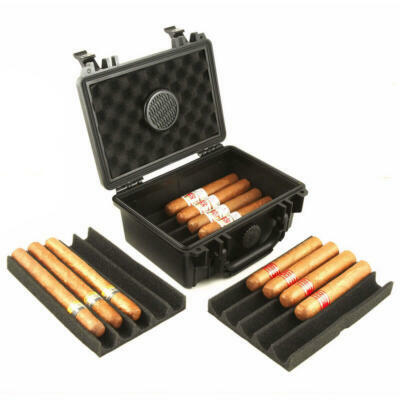 It will hold 2 Churchill size cigars, although this is a telescopic case so you can store 2 smaller cigars. 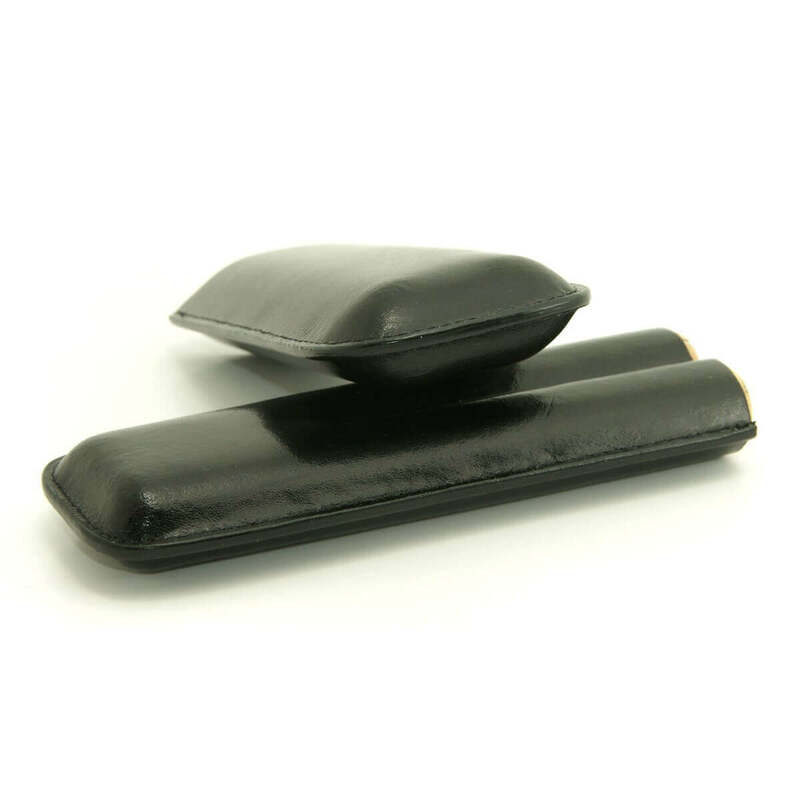 This cigar case 2 cigars is made from the finest Italian leather, black in color. 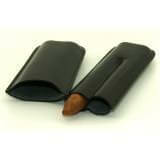 Will hold 2 Churchill size cigars. 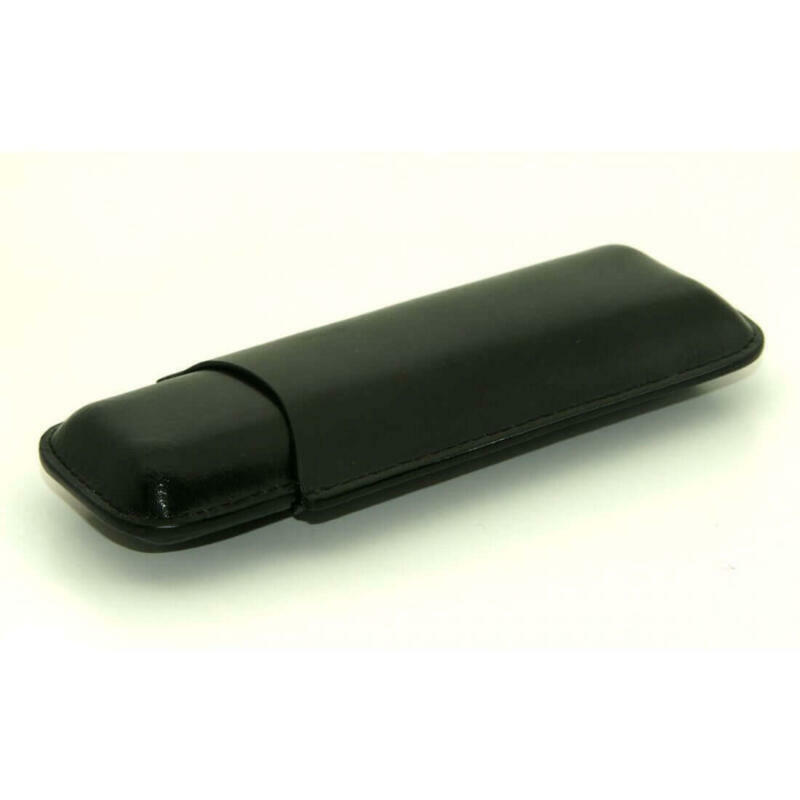 Although this is a telescopic case so you can store 2 smaller cigars as the case adjust to fit the size of the cigar you put into it. 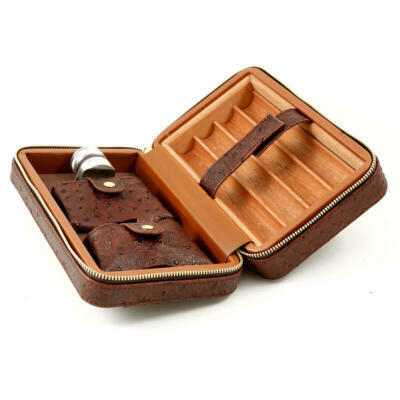 The walls of this case are 2 mm thick and the craftsmanship is superb! 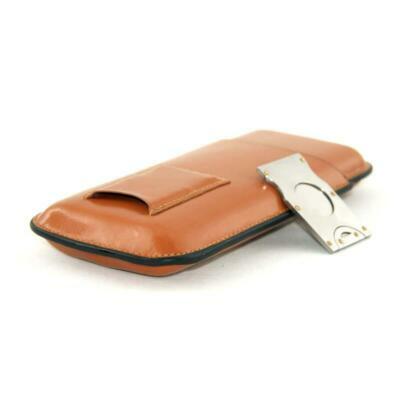 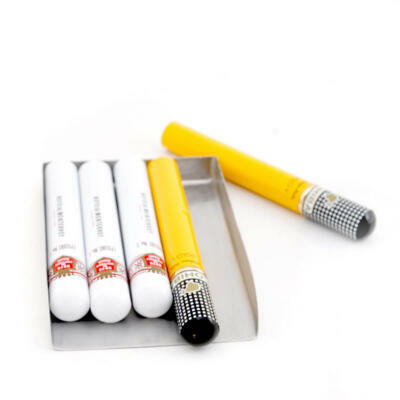 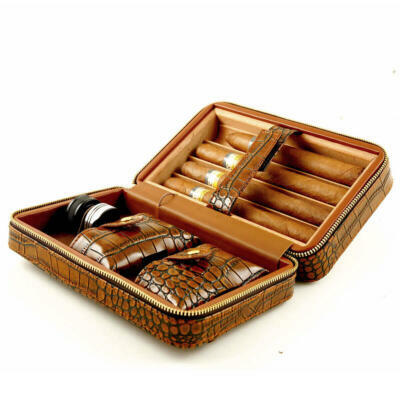 Accommodates up to 2 Churchill size cigar, although the case will fit any size cigar. Strong and tough, but yet very classy and elegant.